A proper lighting setup will allow you to produce consistently impressive results. I used my no longer available Quantum T2 for the shots above, the current version is the Quantum T5D-R.
You will also need portable power, I am still using the original Quantum Turbo 2×2, pricey, yes, but I had mine for 10+ years and had it refurbished by Quantum only once over all those years, no problems, the unit has never let me down. You can save a little cash by getting the very good Bolt Battery Pack, with full USA warranty (rather then the same battery branded under different names from Ebay without warranty). One of the most practical and impressive battery packs is the Impact Mini LiteTrek-look out for the upcoming Impact Lite Trek flash system review-I have been quite impressed with this unit. 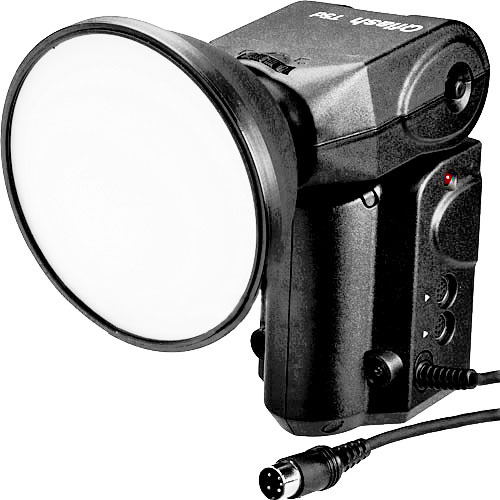 The light quality from the standard parabolic reflector and bare bulb is reason enough to take a closer look at quantum flash guns and the Impact Lite Trek flash system. I love shooting with the Nikon’sSB-910 and Canon’s Speedlite 600EX RT, incredible system integration, good power and a must for red carpet or any situation with subjects beyond the photographer’s control. I just wish there was a way to replicate the light quality from a basic parabolic reflector. Having a leaf shutter syncing all the way up to 1/4000 is a huge advantage because it allows us now to use the shutter speed to control ambient brightness and set aperture to control bokeh rather then ambient brightness levels and still get away using relatively low powered and portable strobes! The benefit is obvious, small foot print and much greater control over our lighting compositions, unlike with a focal plane shutter and its inherent 1/250 sync limit (there is always the hss option, however, it pales in comparison to leaf shutter sync) at best which makes us scramble to control ambient light with aperture settings and leaves little room-if any- to play with light ratios and bokeh. The ND filter on the X100s comes in very handy and makes things even easier. Forget any type of lighting automation when you have total control on a photo shoot. Shooting manual will give you consistent results in the most challenging situations where you can bet TTL will screw up and if you happen to be on assignment this won’t make you look very professional. The Quantum flashguns let you control power from 1/1 to 1/64. You can activate the acoustic ready signal which is very useful. Make sure your sync cord between the camera and flash is in good working order and get a lockable hot shoe sync adapter, stays in place and you won’t loose shots because the flash didn’t go off. I use custom brackets on all my cameras because of their simplicity and sturdiness. And make sure you battery pack is fully charged and grab a spare module, shooting with strobes in bright sunlight requires a lot of juice. 1) First, evaluate the brightness of the overall scene, let’s assume, on a bright and sunny day, ISO 200, 1/500, f8. To get a bokeh-licious background, we need to open up to f2.8, or, for a more pronounced blur, to f2. 2) Adjust the aperture/shutter speed combo to get your desired aperture value, you might need to turn the ND filter on. Keep in mind flash duration will have an effect on exposure, for example, Quantum’s flash duration at full power is approx 1/250 of a sec and if your shutter speed is down to 1/1000 you won’t get proper illumination. I couldn’t find any data on flash duration at lower output levels but found at power level 1/16 I was able shoot at 1/4000, which means flash duration was 1/4000 or shorter. 3) decide on how dramatic you want the scene to look and under-expose accordingly, take a few shots without the flash and evaluate the scene using the EVF. 4)Power up the flash, I usually start out at power level 1/16, this allows me to make adjustments, two stops brighter, by turning it all the way up to 1/1 or two stops darker, by turning it all the way down to 1/64. 5)Take a few test shots, then evaluate and fine tune the light ratio between ambient light and your subject. (I use the EVF for all on set evaluations). 6) keep in mind moving away or closer with change your flash impact on your main subject, try to find a composition, shoot as many variations as possible, then move away or move closer, take a few test shots and adjust the flash output accordingly. This sounds a lot more complicated than it actually is, the Impact lite heads have a knob to change power ratios, the Quantum qflash, up and down arrows. Very simple and straight forward. UPDATE: another unit to check out, the Flashpoint 180 battery powered mono light, I have played with it and it is tiny, impressive recycle times and a led modeling light, I am planning to test and compare it with the Impact Lite Trek flash system, stay tuned! ← Hurry! Incredible Sony Nex-7 savings. my name is Det and I live in Berlin. I ordered a Fuji X100S yesterday and stumbled upon your article while I scanned the net for any info I can get hold of about this little beauty. Besides being a Fuji X100s addict I am also founder of a global documentary project: 365-international and thought may be I can talk you into joining the project. Or, if you like it but should be to busy, may be you could spread the word about it a bit. From 1 June 2012 till 31 May 2013, people from 25 countries took a photo every day, combined it with the title headline of a national daily newspaper they had picked and posted both on 365-international. The new cycle started on 01. January 2014 and from January 2014 on, 365-international will be an ongoing project and people get the chance to join every 01. of a month. The photos give a very personal insight of the lives of the photographers. The most relevant aspect about these photos are not aesthetics but a personal perspective. With these photos, they document what was most relevant and remarkable, every single day of the year. Some of them will be very personal – moments with friends and family, others will be just things which caught their attention during that day. The motto for the project is: “Because there is more that connects us than separates us“. It is an open project. This means every member who agrees on the principles of 365-international has a voice to be heard and shared. 365-international is more than a mere art project. This may sound ambitious for a photo documentary project, but for those who become part of it (no matter if they join the project or visit the website to learn about people and their lifes), it is also a statement. A statement that borders or boundaries are irrelevant. No matter if they are geographical, religious, social or economical. It is beautiful to see that there are other like-minded people in the world. Therefore, by allowing others to peer into our lifes, prejudices and the fear of differentness, can be replaced by understanding. That despite differences, there is nothing to be afraid of on one side and nothing which needs to be hidden on the other. thanks Derek! I totally agree, as impressive as the RX1 is, once you get over the newness of it, you are left with the underpowered af drive trying to move those heavy lens elements back and forth, reminding you at every shot that Sony screwed that part up. The X100s, set up properly smokes the RX1 in every aspect, except sensor size. all your X100s shots are amazing and I think I will get it soon, I was debating the X100s vs the RX1 for a long time but I think the X100s is a bit more practical camera than the RX1. Great and intresting post! Thank you for sharing your experience and the results are also beatiful! And again, two new arguments to but the X100s:)! This camera rocks…yeah!